The mission of accredited police, fire and emergency services academies is to serve the community by training individuals as police officers, firefighters and EMT paramedics. Most state and local public safety departments rely on community colleges to provide that training. According to the American Association of Community Colleges, nationwide 80 percent of police officers, 86 percent of fire fighters and 84 percent of EMTs received their training and credentialing at community colleges. The training delivered by community colleges meets and/or exceeds local state and federal standards and is cost effective for the cadet. The number of students with disabilities applying for public safety academies is rapidly increasing. Concern has been raised because many cadets are not aware of the essential job functions of the positions or the high standards placed on public safety officers by the state and national accrediting bodies. The perception of many academy staff members is that they feel some of the contemporary cadets are products of the “trophy generation,” a phenomenon that avoids telling students some goals are unattainable. In public safety careers, these students cannot expect a trophy—a job—just for showing up to class. The Americans with Disabilities Act (ADA) passed in 1990, updated in 2008 and again in 2010, was designed to increase disability awareness and promote the inclusion of individuals with disabilities across society, including public safety positions. The Act has had many positive results; however, some public safety people have sued under the ADA for redress for discrimination. A 2014 example is City of Houston v Proler. Proler was a fire captain with the City of Houston. In 2004 and 2006, he failed to enter residential houses that were on fire. Following the 2006 incident, he was diagnosed with having global transient amnesia — a sudden episode of memory loss, which stemmed from a fear of fire. Propel sued the City of Houston under the ADA, claiming his fear of fire was a disability and that he should be returned to fire suppression duty. The Texas Supreme Court ruled in the city’s favor, stating Proler’s condition was not a disability under the ADA. The case is an example of how the ADA has caused discussion, confusion and anxiety among administrators, counselors and human resource departments. This paper provides guidelines and best practice in administering an academy selection process that does not discriminate against an otherwise qualified applicant, but at the same time does not compromise the safety of fellow cadets and academy staff. Many candidates for public safety positions are highly motived but generally do not have in depth knowledge about the academic or physical rigors of the academy and the job itself. Moreover, state regulations prohibit cadets with certain physical or psychological conditions from pursuing careers or training in public safety disciplines. Municipalities throughout the country require physical examinations, psychological testing and thorough background checks. EMS personnel in many locations, for example, cannot have seizure disorders or be insulin dependent. Although past practice has been to disqualify applicants with TYPE I or TYPE II diabetes, it is not unusual to find diabetics working as first responders today. To better screen applicants and protect the agency, academy administrators need coordinate efforts from all involved in the hiring and screening process. For example, academies can require cadets complete an essential functional job analysis. This procedure is a complex breakdown of the job functions of a police officer, firefighter or EMT and what is expected of them to perform daily. 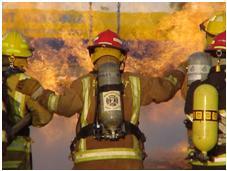 It is very detailed and generally can be obtained through the regulatory body, such as POST, NFPA or NREMT. This should be clearly posted on agency websites and distributed to anyone who inquires about careers as public safety officers. Additionally, this process should include a medical and psychological evaluation that provides the applicant with a physical and psychological evaluation before the person enters an academy. Next, the academy should host an orientation that provides each potential cadet with a detailed discussion about the program, work life and other career attributes. At this time, the individual should be given a chance to be evaluated, if needed. The orientation is a good venue for applicants to request accommodations under the ADA. Waiting to request accommodations once the academy starts creates other challenges for the cadet and academy staff that could cause a cadet to miss essential training. Medical examination and psychological testing should also be performed prior to entry into the academy. This testing should be directly related to the essential functional job analysis. Author: Ygnacio “Nash” Flores, EdD, MBA, MPS, MA, is the dean of public safety academic programs at Rio Hondo College. Email: [email protected].